I not only went to a convention last weekend, but I’ve just been extra exhausted lately. I lost my lead on the #31DC2017 and then I fell behind. So now I’m scrambling to catch up even though my energy levels still aren’t very high. 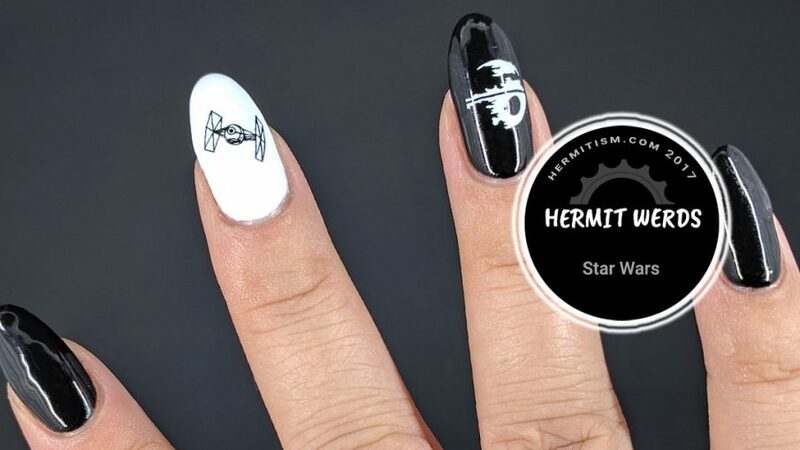 I changed the nail art I had planned to things that my poor brain could handle. The funny thing being what I swapped out wasn’t always a time saver. I’ve done so much advanced stamping since I started this that it doesn’t feel painful the way other techniques do. 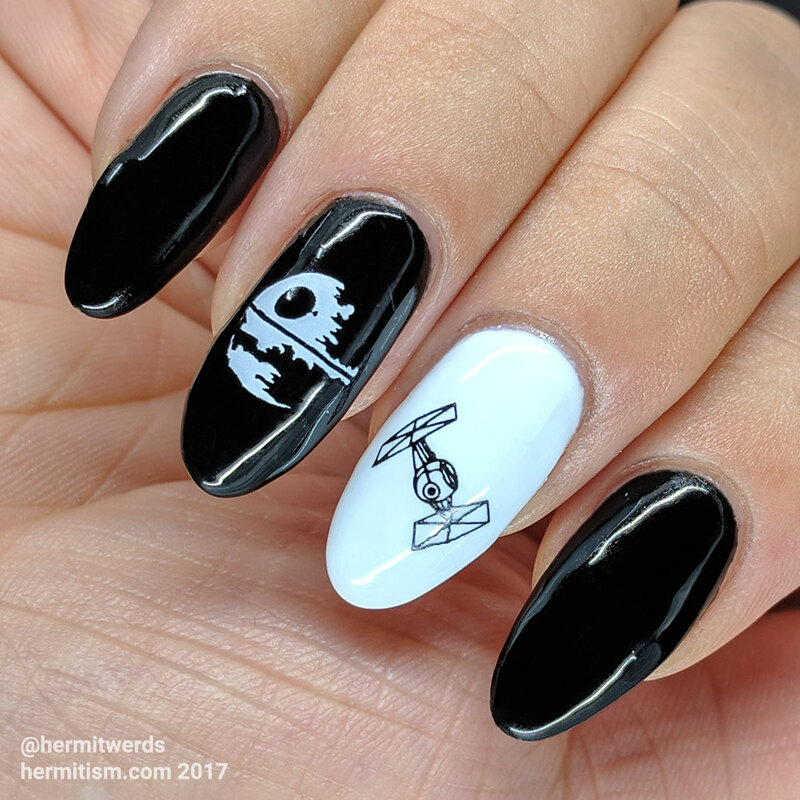 For my first catch-up (Inspired by a Movie), I kept it to simple stamping of two Star Wars images: the Death Star and a Tie Fighter. For my second catch-up (Inspired by a Book) I added the spring prompt from #LigaNailistaChallenge (spring vs autumn). I swear the weather here went from hot summer to early winter with no stop for fall. As such, I decided to go with spring and then struggled to think of a way to combine the two subjects. 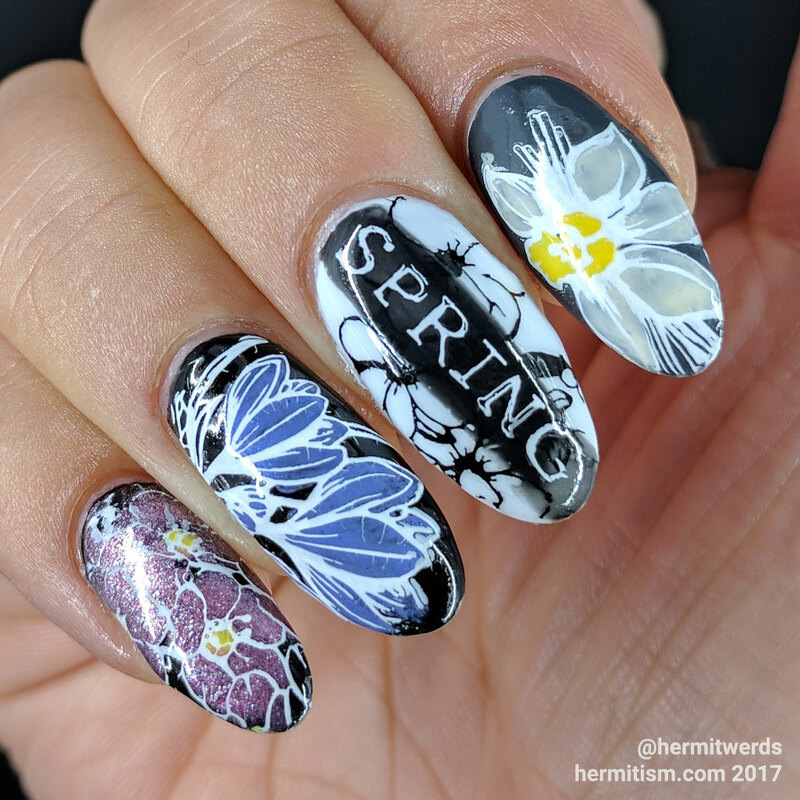 Finally I decided it was fair to do a gardening book inspired mani and add some floral decals. I almost did my usual and painted white behind the colors, but then I realized that it would make the mani very stark. So I let them blend into the background more instead and was happier for it.